I know actors act and all that, but casting the sexless Matt Smith as The King Of The Pervs seems most incongruous. Perhaps the film will change the leather clubs to tweed and corduroy clubs? PS Presumably this will be based on Patti Smith's acclaimed memoir, Just Kids. If it only deals with their relationship we could - hilariously - see Mapplethorpe de-gayed and heterosexualised. 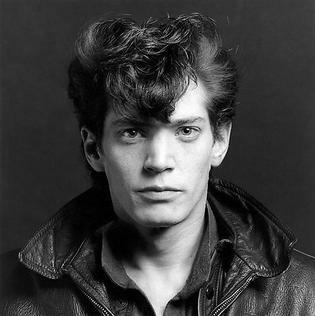 PPS Fagburn is rather looking forward to seeing World Of Wonder's documentary, Mapplethorpe: Look At The Pictures! I've never heard of this fellow. But almost everything can be improved by adding tweed, and time lords. Intact I would watch time travelling tweedy types struggling eccentrically with being a perv over any amount of actual perviness.